Oh my, this is stunning: a DIYed bathroom floor lights up with tiny fiber optics stars! The secret is to thread the fibers into the grout lines. Apparently, for safety, the light source needs to be outside the bathroom (or, I imagine, whatever the local code calls for) and, of course, you need to start with a bare floor or to demo the existing surface, so it’s not a quick project by any measure. The results are amazing, though. See the full star floor tutorial by Balrd at Instructables. In Here is an occasional feature highlighting geeky spaces created by our fellow geeks all over the world. Ashley DIYed a really cool Star Wars marquee. It even lights up! The base is a handmade wooden sign stenciled, painted, and varnished. Wow. I don’t think I’d have the patience! Full props for such a meticulous job! See the full tutorial at Handmade with Ashley. In Making Stuff occasional feature, we share fun arts and crafts done by us and our fellow geeks and nerds. A version of cylindrical habitats has since been seen in popular media—Babylon 5, anyone? Apparently all of these designs were meant for thousands of people: the toroid and spherical stations could house around 10,000 and the cylinder a million. Wow. They certainly did not dream small! Visit the NASA’s “Space Colony Art from the 1970s” page for more images and links to high-res scans. Found via The Public Domain Review. All images courtesy of NASA Ames Research Center: Cylindrical habitat / interior view looking out through large windows (NASA ID number AC75-1086) and toroidal / cutaway view exposing the interior (NASA ID number AC75-1086-1) by Rick Guidice. Bernal sphere / construction crew at work (NASA ID number AC76-1288) by Don Davis. Bernal sphere / cutaway view (NASA ID number AC76-1089) by Rick Guidice. Out There is an occasional feature highlighting intriguing art, spaces, places, phenomena, flora, and fauna. 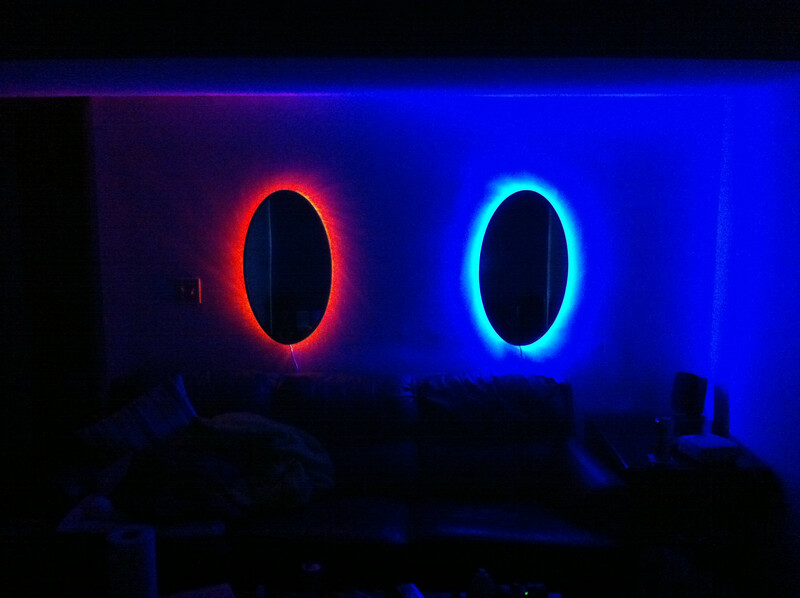 Not an easily DIY-able project, but very neat. 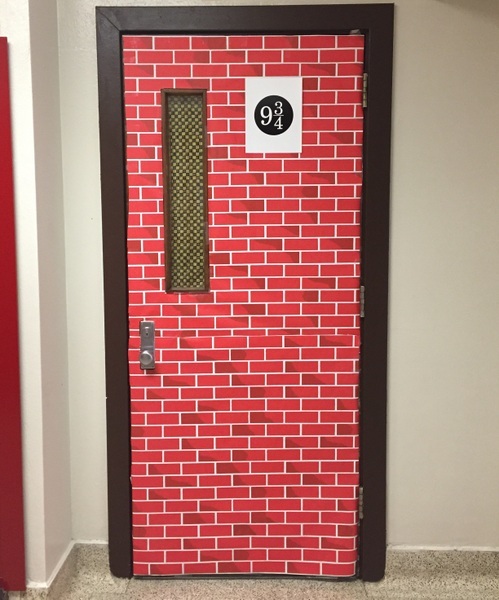 Reddit user 86thdj shared their wife’s classroom, which she decorated with a Harry Potter theme. And it’s magical! Make sure you see the rest of the photos on Imgur. 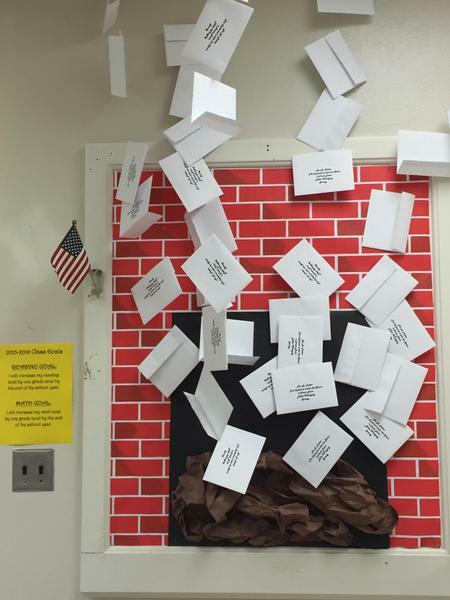 I just love the 9 ¾ door and the flying envelopes – very low effort but big impact. 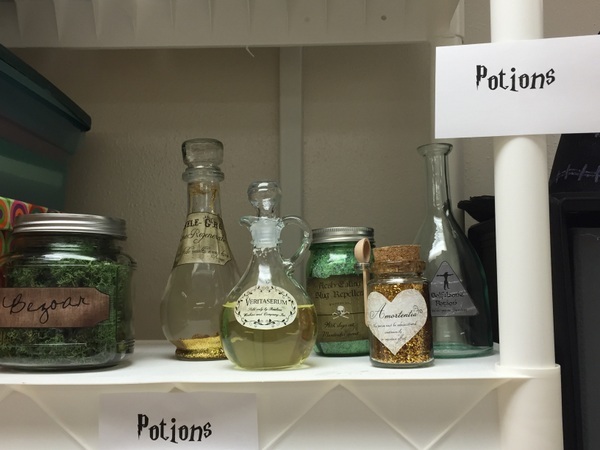 And that’s not all – first of all, every student will get their Hogwarts letter, and, later in the year, the kids will be quizzed and sorted into houses. 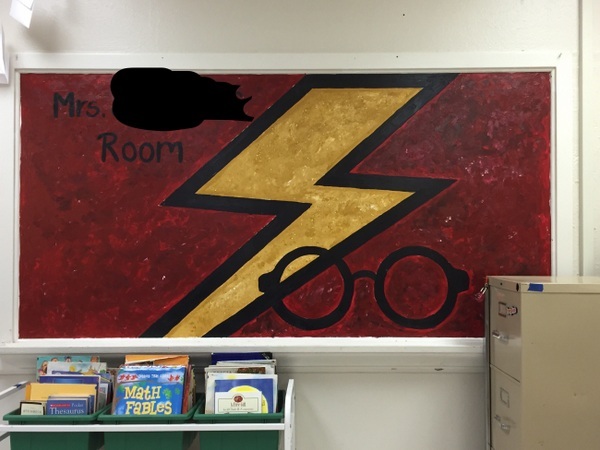 The discussion on Reddit also touches on the kind of teaching that this room is meant for, so it should be helpful for other teachers.